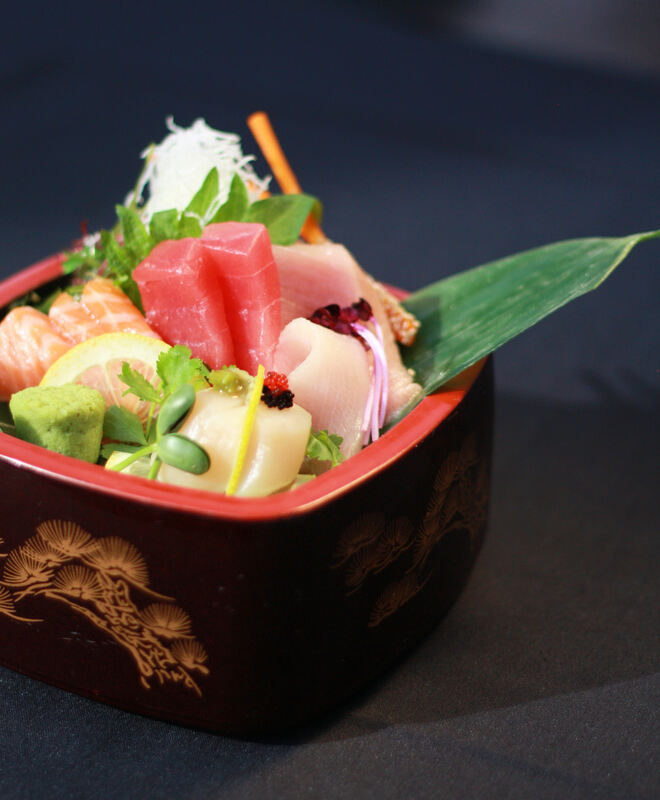 Showcasing beauty and tradition, Banbu Sushi Bar & Grill is focused on high quality, fresh ingredients. 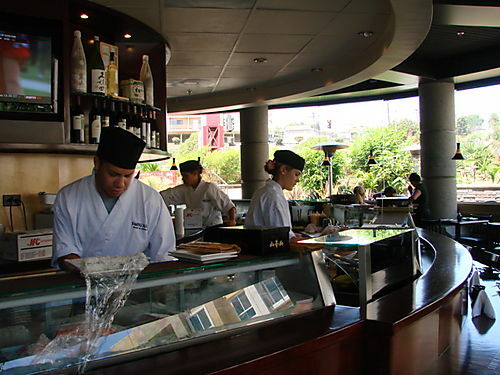 The distinctive features of Banbu Sushi are its classic Japanese design with a modern bistro look. 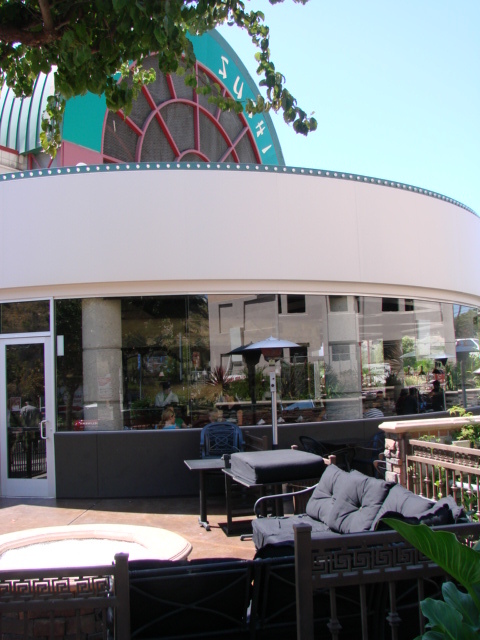 Banbu has a pleasing atmosphere paired with it’s stylish round sushi bar, a great outdoors patio. It is very chic and well decorated. The fire pit adds a nice touch, it gives a sense of elegance that is needed for this location. When you think of La Mesa, you probably don’t think of great sushi places. Banbu is trying to change that, and they’re doing a fine job. This clean restaurant boasts trendy and historic décor and plays great music. It has fantasic sushi, fair prices, and generous portions. It’s cuisine is fresh, delicious, and there’s a ton of variety and choices. We highly recommend this place! At Banbu Sushi Bar & Grill, Executive Chef James deliciously incorporates his background of Classic French Cuisine with Asian Fusion Cuisine taking his culinary treats a step beyond awesome! Executive Chef James’ culinary philosophy: “Make it nice or make it twice. Everything on my plate is edible. No waste of ingredients, especially inedible garnish!” MicroGreens are especially his favorite as they are garden fresh, deliciously edible, and aesthetically pleasing. 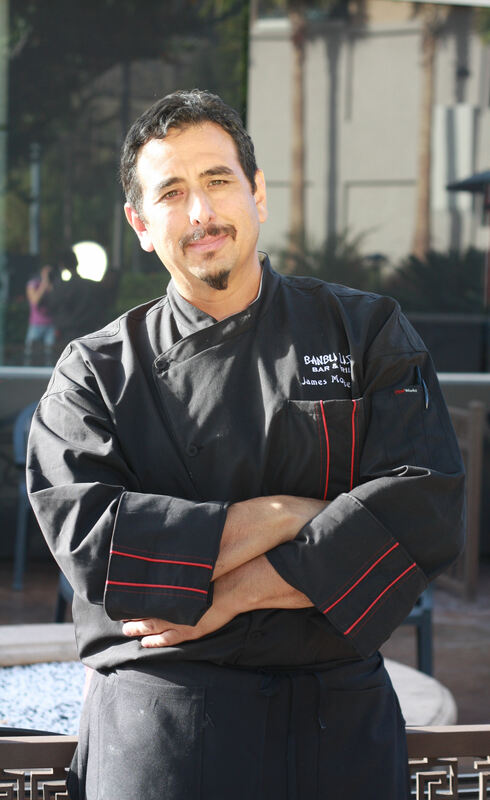 Executive Chef James Montejano says to keep a lookout for the opening of Banbu Sushi Bar & Grill’s new location in La Jolla in 2010! Here are some of their new 2010 menu items! 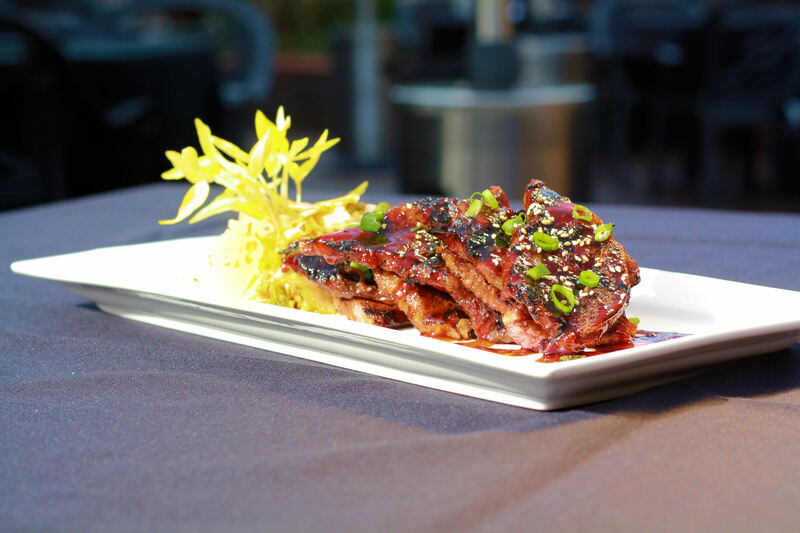 Korean Short Ribs with Fresh Origins Gold Haricot Shoots™. This plate was a visually stunning presentation with the contrast of the bright yellow color of the shoots and the earthy tones of the ribs. The meat was extremely tender and melted in your mouth, the way short ribs should be. The dish was an irresistible combination of sweet, salty and spicy! The Gold Haricot Shoots­™ added a wonderful touch to the dish with their fresh Haricot Vert flavor and crunchiness. Stunning gold leaves with pure white stems. Tender and succulent, with a wonderfully fresh Green Bean flavor. This French Legume is a fantastic addition to most anything, especially savory entreés, premium salads and sandwiches. 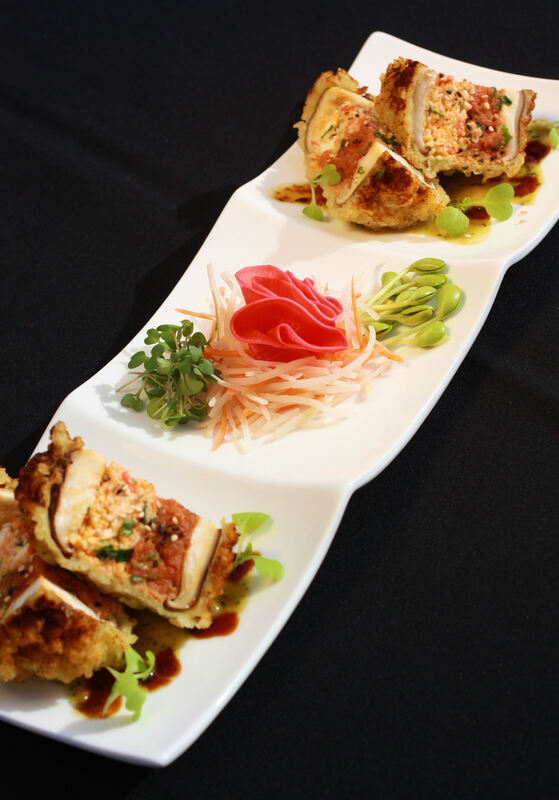 Enhance the fine dining experience with vibrant looks and great flavor! Banbu Bites with Fresh Origins Gold Edamame Shoots™, Micro Pak Choy, Micro Wasabi. This fabulous dish combined yummy shitaki mushrooms stuffed with crab, spicy sesame ahi, and surrounded by sweet tempura. The vribrantly colored pink ginger, and Gold Edamame Shoots™ created an eye-catching and unique presentation. Light green leaves with white stems. This fresh, flavorful micro has a crunchy texture with the taste of cabbage and mustard. Fantastic garnish for most any dish, especially Asian creations. Sushi and Kalbi really love its unique presence. This healthy micro contains Vitamin C, Calcium, Iron, and Magnesium! The freshest of fish and the dramatic colors and textures in this dish make it a very special menu item. 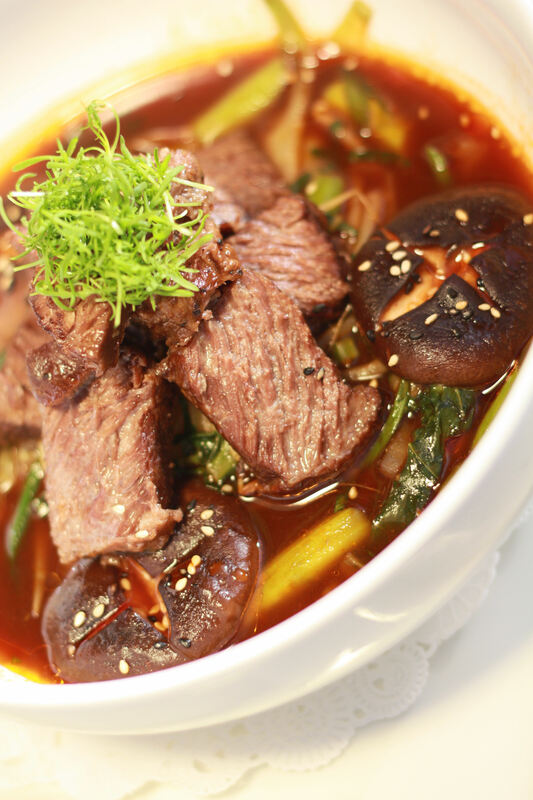 Presented in an Asian style bowl, this dish is truly a thing of beauty. Another Fresh Origins’ exclusive products, Petite Edamame™ is the latest greatest thing! These Japanese green soy beans have a deep green color and resemble a bean that is opening with a new leaf coming through the middle. This Petite can be used as a substitute for regular edamame, it has even better flavor, and is easier to eat because there are no pods to deal with! Saute, boil , flash fry, steam, or just eat fresh! Also great as an extremely healthy veggie side dish or side salad. Petite Edamame™ boasts a full-bodied, nutty and beany flavor. This yummy legume is an excellent source of protein! Unlike any other garnish out there! Chef James’ incredible passion for fine food is expressed in this dish. 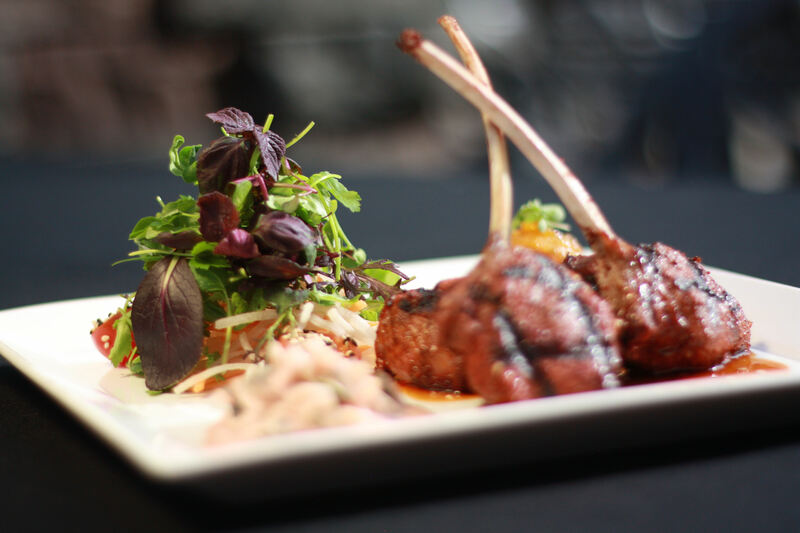 Attractive and satisfying, this tender lamb was wonderfully paired with Petite Asian Mix, which combines a wide variety of Asian herbs and greens, enhanced by a citrus vinaigrette. Fresh Origins Petite Asian Mix blends the very best fresh Asian herbs and greens. Wonderful flavors of Mizuna, Tatsoi, Shiso, Mitsuba, Pak Choy, Peas, Mustard, Shungiku and others truly make mouths water. Not only tasty and healthy, this combinbination contains different colors, shapes and textures to enhance the look of any plate. Asian entreés are a perfect match for this delicious mixture. Top seafood and meats, use as a beautiful edible bed or just add a light vinaigrette to create a wonderful fresh side salad. This was by far our favorite dish. The sweet meat was cooked to perfection, the unique layers of flavors brought smiles to our faces and intrigued our mouths. The fresh shitaki mushrooms and large soft noodles definitely added to the dish. It was extremely filling. This was comfort food with a refined twist. It was pure bliss. Fantastic and feathery, Micro Chamomile is the newest item from Fresh Origins! This is the first time that Chamomile has been grown as a MicroGreen. The leaves are juicy and taste of freshly picked Chamomile. You can add visual and culinary diversity to any number of dishes with this delicate and tasty herb. Surf and Turf, Filet Minon, Port Wine Sauce, Maine Lobster Tempura, Firecracker Potato Spring Rolls with Fresh Origins Micro Shungiku. The crunchy lobster tempura had a lovely sweet and spicy flavor. The hot and fiery potato spring rolls were a unique and special side dish. 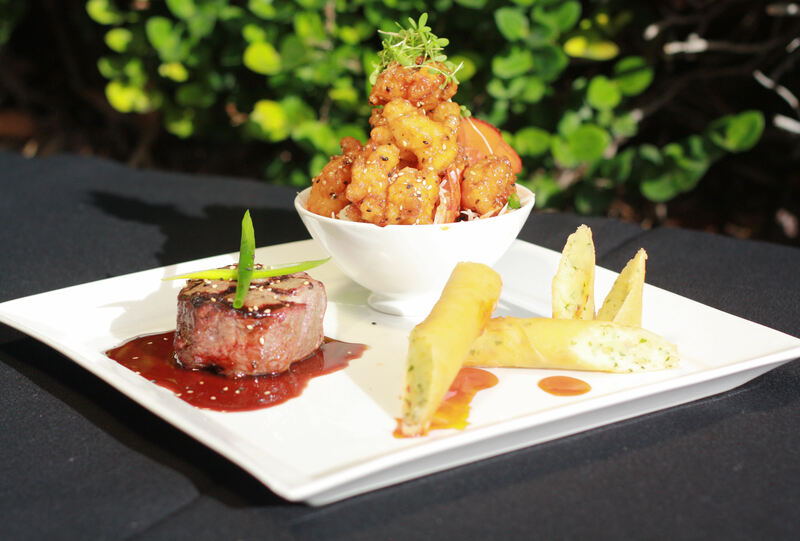 The scrumptious filet minon was full of flavor and created the perfect balance between meat and seafood! These uniquely shaped chrysanthemum leaves boast a succulent and juicy texture with a great earthy flavor. It is a stunning garnish for any plate, especially perfect for appetizers, sushi and stir-fries. Float on soups or add a tasty twist to fresh mixed green salads! Shungiku is also a nutritious green, containing Vitamin A, Vitamin C, Vitamin E, Vitamin K, Vitamin B12, and Vitamin B6.